PKMM Incorporated, a privately held Women Owned Small Business (WOSB). offers a full range of services to government programs and diverse industries around the world. Drawing upon more than 28 years of experience and the expertise of our employees, PKMM possesses the versatility & flexibility to serve as the sole supplier, member of a joint venture, a subcontractor, or contract services locally. No matter how challenging a project or how remote, extreme, & dangerous, PKMM brings an unmatched combination of knowledge, skill, experience, & customer commitment to every job. PKMM has the ability to respond quickly to urgent requirements and provide the appropriate capability gap solution and provides the necessary accelerated lifecycle support from concept thru deployment and program support. PKMM offers expert services within the following competencies, information systems & technology, knowledge management, telecommunication & network construction, robotic platforms & sub-systems, vehicle & life cycle sustainment and field services & support. Additionally we offer specialty services as, advanced building products & technology, information, media & entertainment (IME), design, procurement, construction, maintenance and project management (DPCM), research, development, test and evaluation (RDT&E), integrated security and intelligence solutions, logistics and material readiness. PKMM has over 200,000 square feet of positioned professional, design, manufacturing, prototyping, warehousing and yard space. Our production and test facilities reflect our commitment to defense and commercial operational environments and enable continuous advancements and exposure to new and emerging technologies and processes. We continue to develop and expand our product lines, anticipating the needs of our customer. This “Thought Leadership” has ensured we continue to offer world class solutions, meeting or exceeding the mission critical requirements of our customers. All PKMM employees are well skilled and Quality Control (Q.C.) trained, following strict guidelines as outlined by ISO‐9001. Every day, our employees around the world dedicate themselves to putting core values into action. Safety is first ‐ it's the company's top priority, followed closely by environmental responsibility; focus on cost, quality, customer service and accountability for all departments. These principles guide a highly skilled workforce towards PKMM unified vision. All PKMM employees are well skilled and Quality Control (Q.C.) trained, following strict guidelines as outlined by ISO‐9001. Every day, more than 200 employees around the world dedicate themselves to putting core values into action. Safety is first ‐ it's the company's top priority, followed closely by environmental responsibility; focus on cost, quality, customer service and accountability for all departments. These principles guide a highly skilled workforce towards PKMM unified vision. PKMM Inc., is a privately held woman owned small business (WOSB) founded in 1988, offers a full range of services to government programs and diverse industries around the world. Drawing upon more than 24 years of experience & the expertise of 200+ employees. PKMM Incorporated has always taken pride in building quality products. Working with stringent military standards for over 20 years has honed our manufacturing skills to levels beyond commercial. 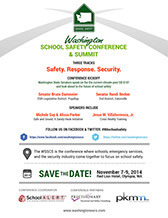 PKMM, Inc. is a proud sponsor for the Washington School Safety Conference & Summit, from November 4 - 9, 2014 at the Red Lion Hotel in Olympia, WA. PKMM, Inc. provided top-level sponsor and technical support for the team at UNLV during the 2013 U.S Department of Energy Solar Decathlon. PKMM's support included offering their expertise in technical services, design, design-build, and development for this unique and challenging project. Our production facility provides over 50,000 sq. ft. of manufacturing and production floor space, including five 14 ft. tall high-bays, a double loading dock which can support on and off loading of vehicles, shelters, C4ISR communications, electronics and ABCS equipment. PKMM provides System Engineering, Analytical and Program Management Support, Software Engineering, Information Assurance, Information Technology and Logistical Support to the Department of Defense, Federal, State, and Local Governments. PKMM designs network technology for information dominance, strengthening networks and emphasizing integrity and availability. We build and support network infrastructures to accommodate extreme ranges of user demand and increase productivity. We at PKMM Inc. believe in giving back to the community and supporting the troops. We have joined organizations to share this sentiment. PKMM, Inc was proud to be a part of the "Salute to Miltary Kids Party" The turn out for the event was large. In attendance there was approximately 1200 families and 550-600 kids. PKMM designed and built a plinko ball machine for the kids to play and then win a prize depending on which slot the ball landed (red, white or blue). PKMM had a great time as well as all the kids, even the parents. The game was a big hit! The event was a success, and PKMM was proud to be a partner in giving support to our countries military families! PKMM, Inc. was proud to be a part of the Big Bad Bike Show held by Northwest Harley in Lacey, WA. We created the metal artwork and trophies for the event.